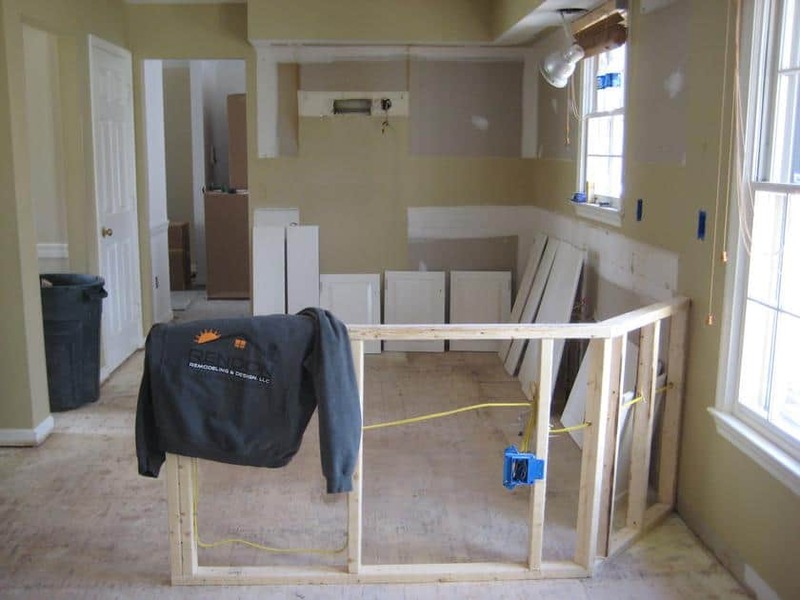 Once you have planned for your new kitchen remodel and have chosen the contractor to do the work, it is time to start planning for living without a kitchen for awhile. A typical kitchen remodel can last anywhere from 3-6 weeks depending on the extent of the project. * One of the first things you must do before the project starts, is to begin packing everything from your kitchen. It’s basically like moving out of your kitchen. Grab the boxes and be sure to empty the entire kitchen, so nothing gets left behind. Be sure not to box up the items you may need. * Some items may come in handy while you are without your kitchen, so be sure to set aside the items you may need. Basic supplies include: microwave-safe dishes, utensils, paper or plastic cups, cutlery, paper towels, napkins, baggies, a can opener, plastic wrap and garbage bags. * Once the demolition of your project begins, this can create dust and a little banging. Rendon Remodeling & Design, LLC do a great job protecting the home and trying to enclose the dust and keep it from getting to the rest of the home. Unfortunately, not all the dust can always be contained in the kitchen. So sealing the doorways close to the kitchen is a good idea. Demolition also can make some noise and banging, so it is a great idea to remove all pictures and fragile items in rooms close to the kitchen. It’s always safer to do this in case something does fall. * Being without a kitchen for a few weeks can be tough, so it is a great idea to make a makeshift kitchen during the kitchen remodel. Your contractor should be able to offer advice and help you with the temporary kitchen. If you have room, you can move your fridge and microwave to the temporary kitchen. Normally a good place for the temporary kitchen is in the laundry room or close to a bathroom. Somewhere that gives you access to a sink. * Dry foods are great to keep easily accessible, such as: cereal, granola bars, bread, noodles, microwave popcorn, tuna and soups. * Be sure your refrigerator is stocked with foods and drinks you may need. Sandwich meats are always a good choice because they are easy to prepare foods. * I highly recommend keeping a list of take-out and delivery restaurants with their phone numbers and coupons. Keep a list with a variety of places. It doesn’t always have to be pizza! A lot of restaurants offer take-out. Sometimes coming home from a long day at work without a kitchen, take-out or delivery is your best option! Living without a kitchen can sometimes be stressful. Planning properly can make your kitchen remodel go much smoother and help you keep your sanity. Once you can move back into your newly remodeled kitchen, it was definitely all worth it! 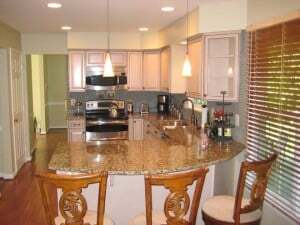 Talk to a kitchen remodeling professional from Rendon Remodeling & Design, LLC today!